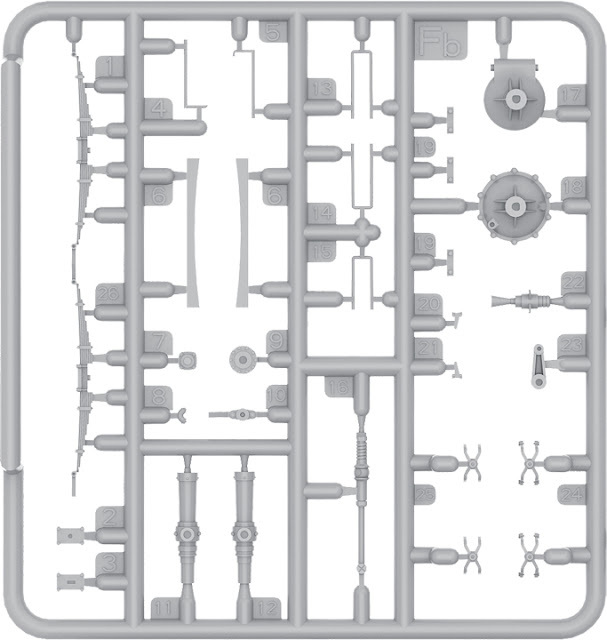 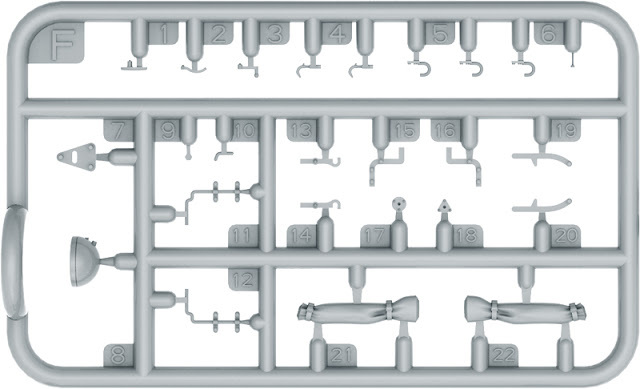 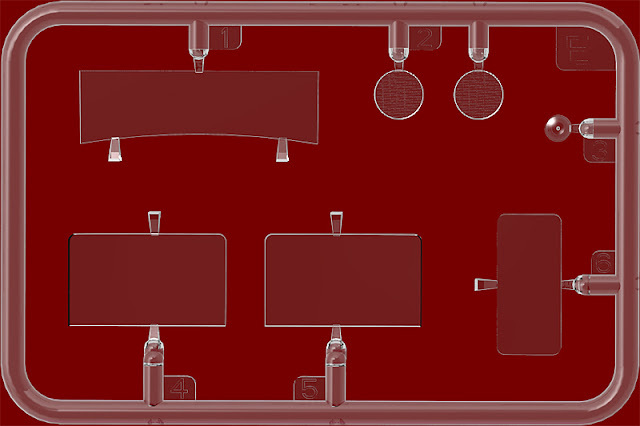 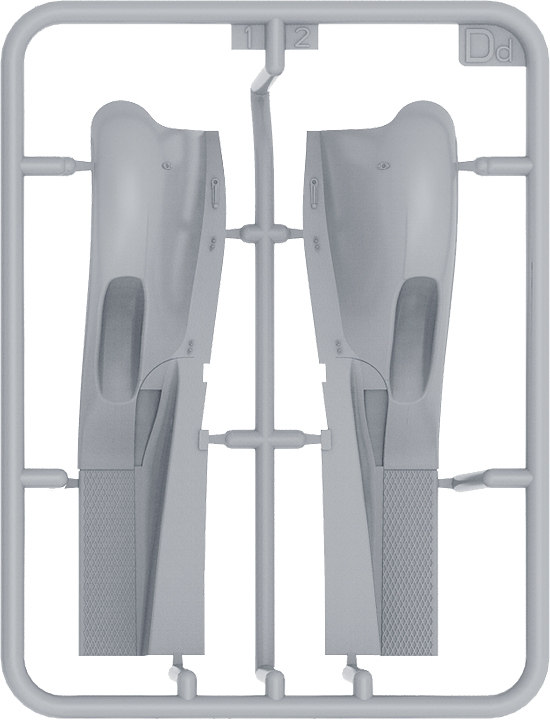 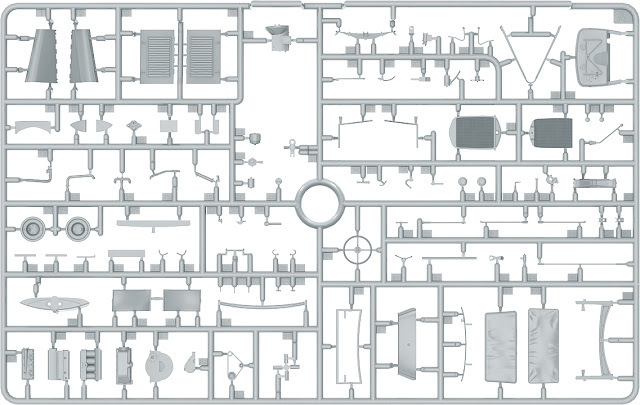 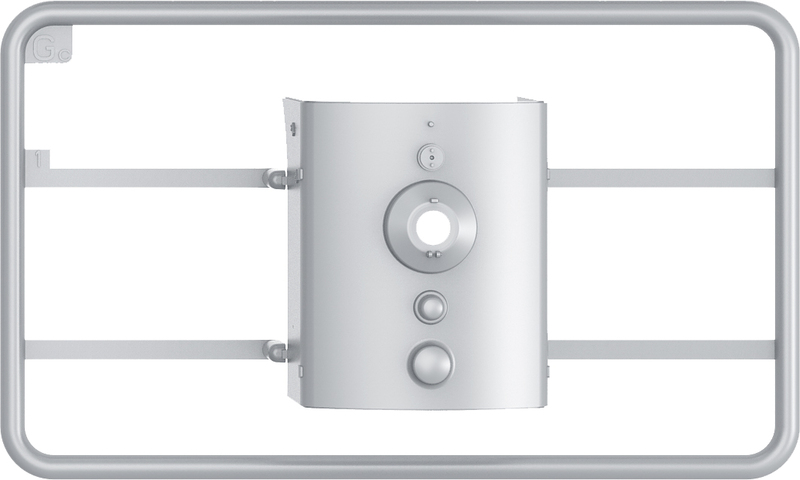 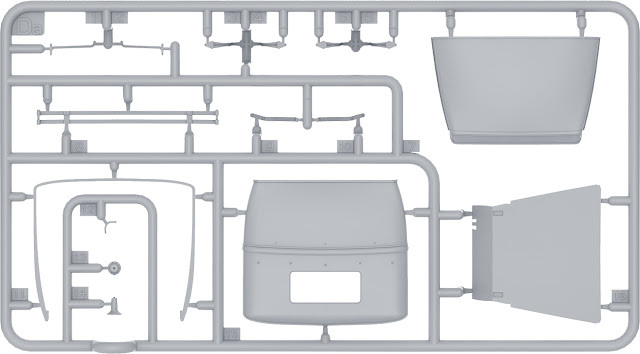 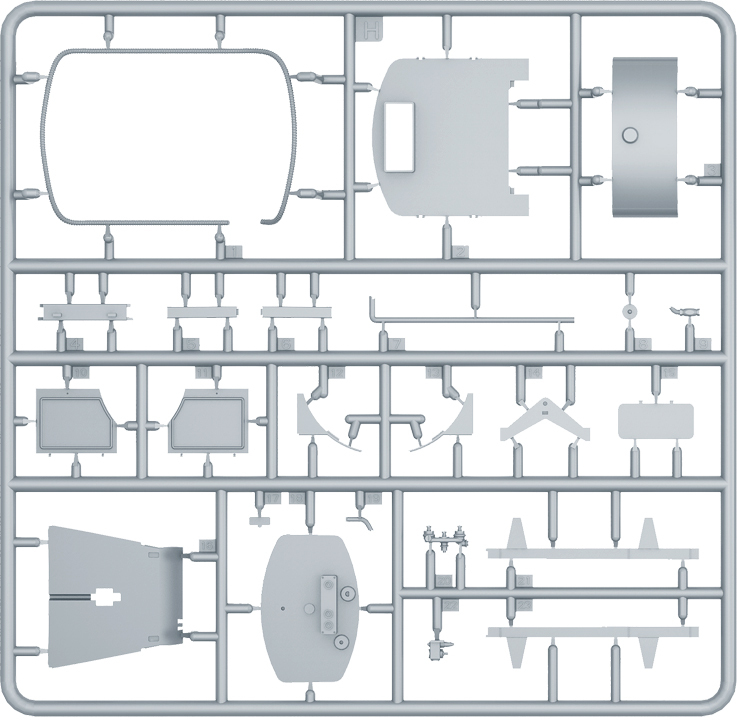 This kit contains 545 parts. 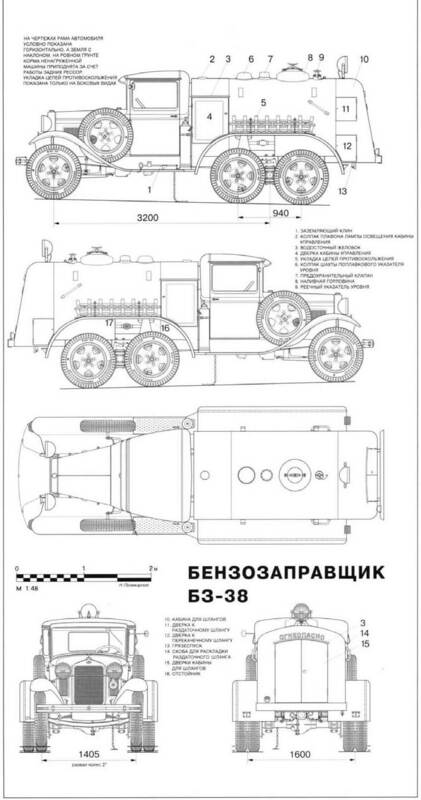 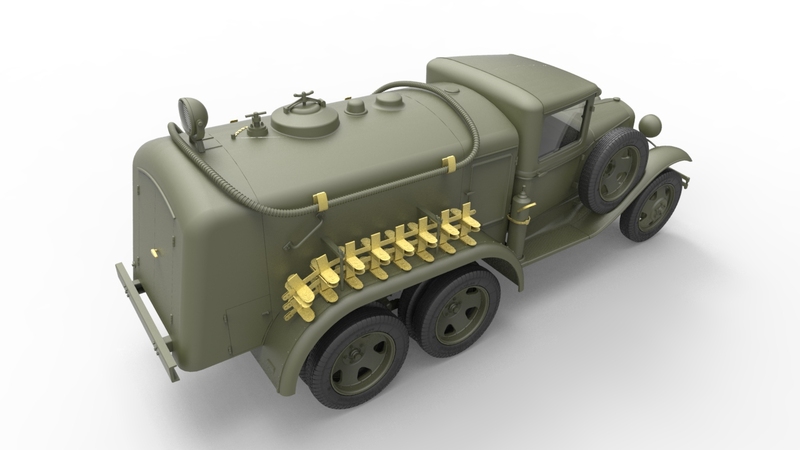 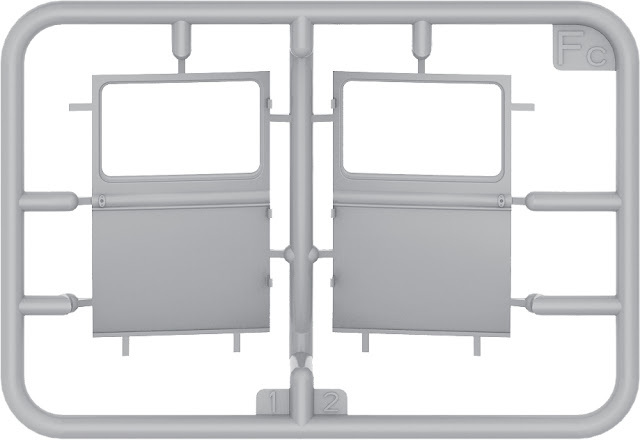 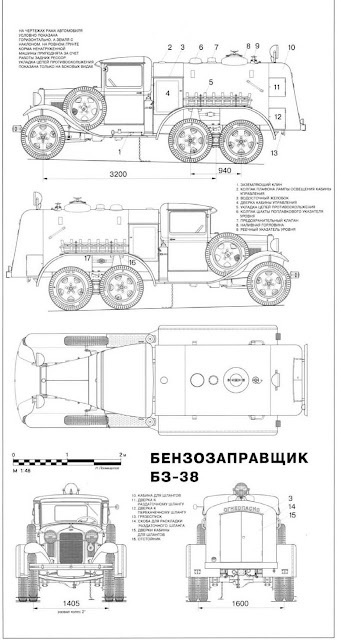 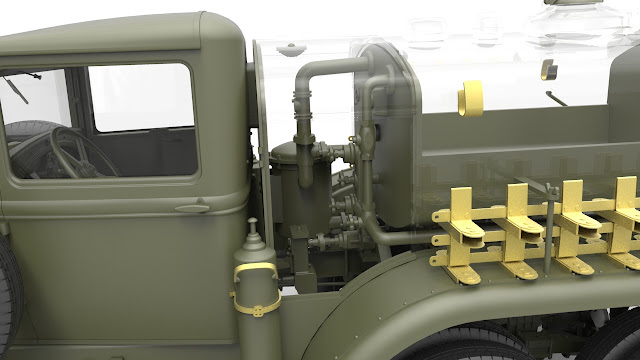 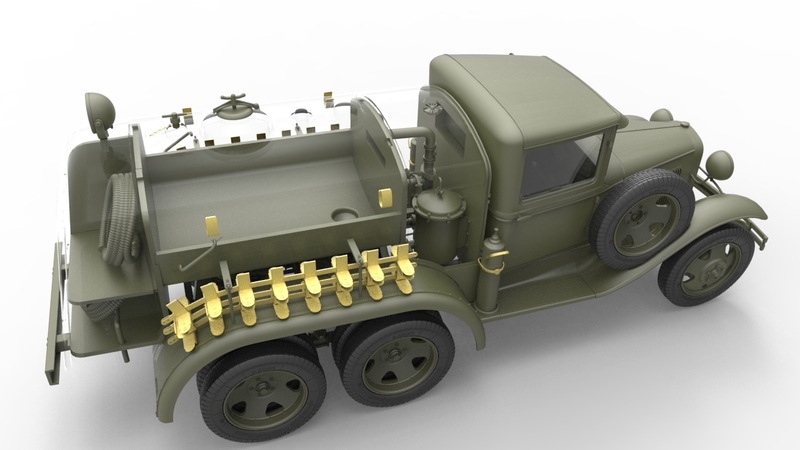 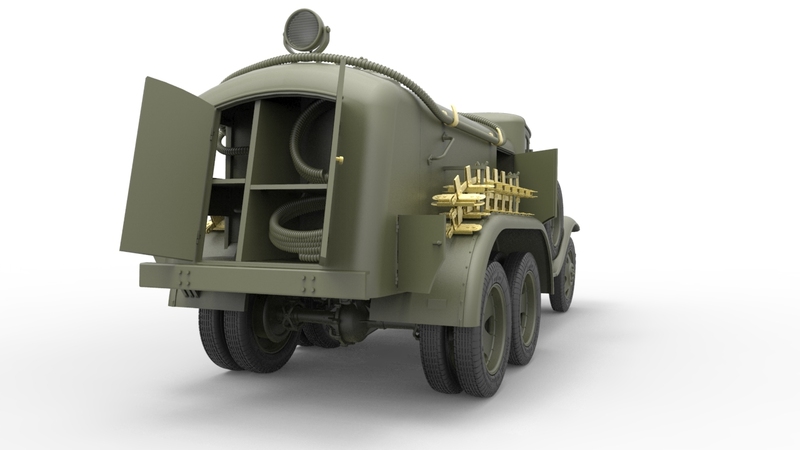 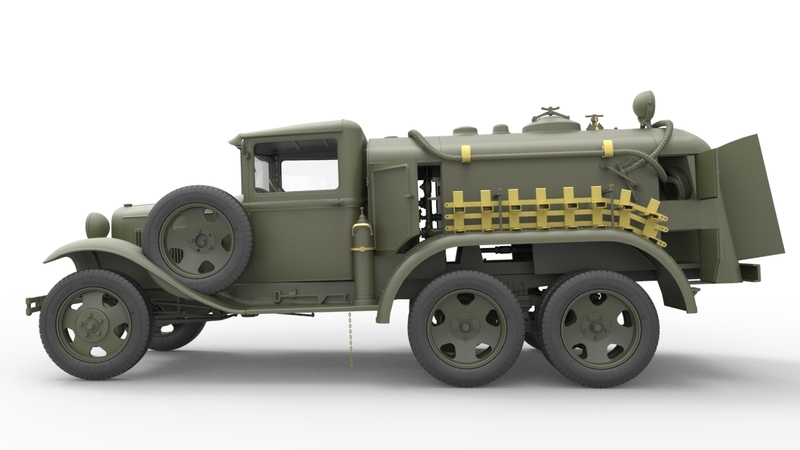 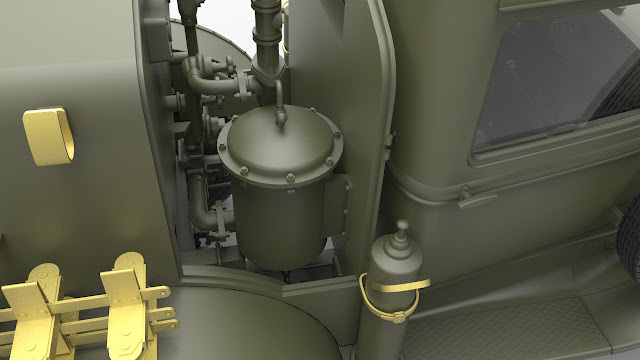 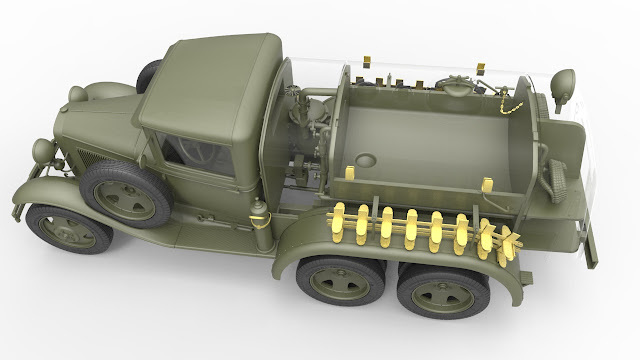 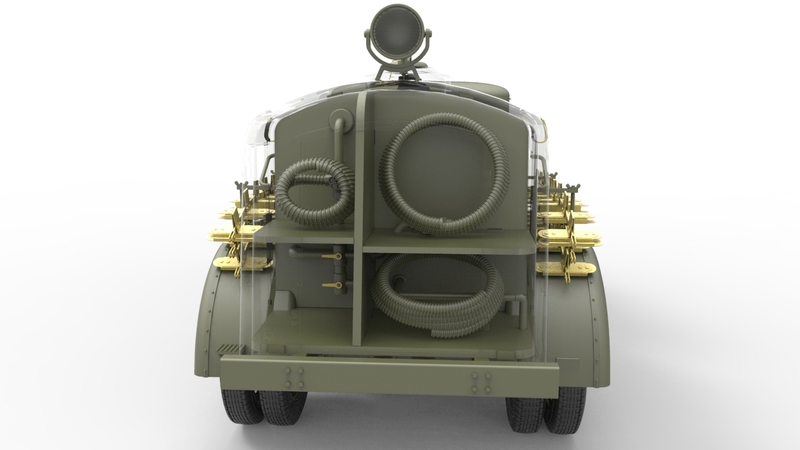 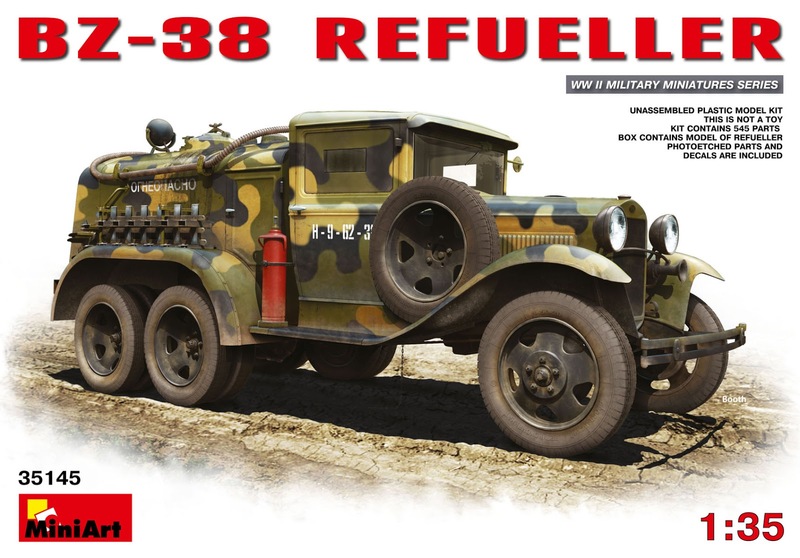 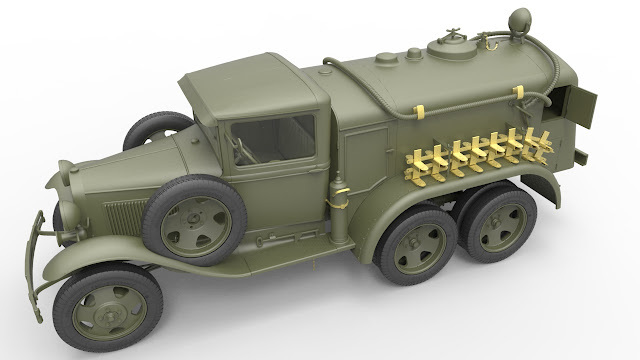 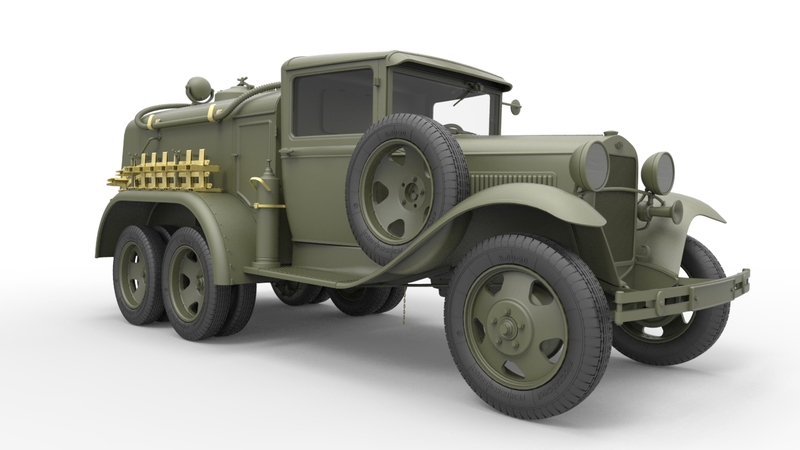 The first BZ-38 tankers were a derivative of the GAZ-AAA truck and initial conversion was first seen in 1938. 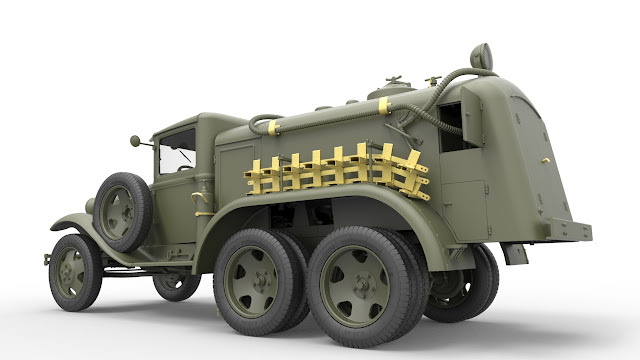 This refuelling truck was the basic transport and refuelling machine of the soviet airforce for much of the war. 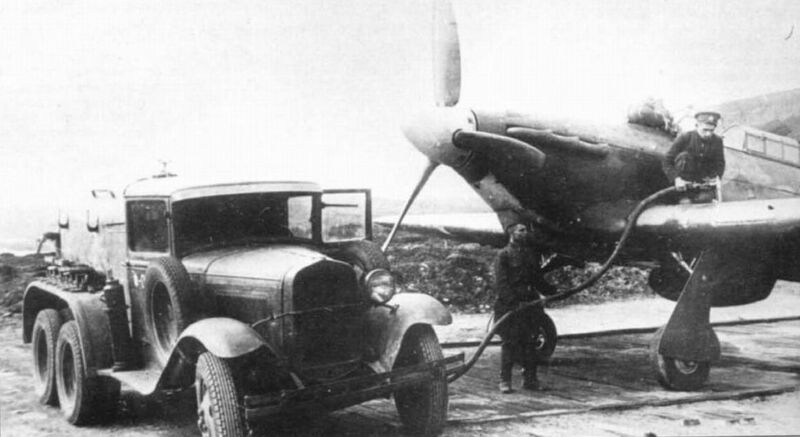 It was used to refuel most of the fighter aircraft, scout-airplanes with smaller fuel needs as this was not a large truck. 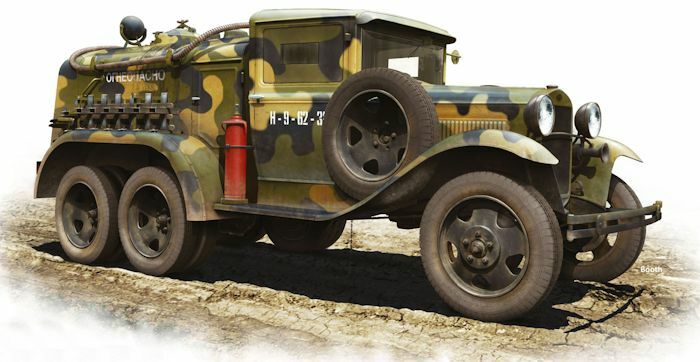 Based on the chassis of the automobile GAZ-AAA with a tank of 1350 litter volume, the rudimentary cabin was forward of the fuel tank and scarily it was made out of wood! 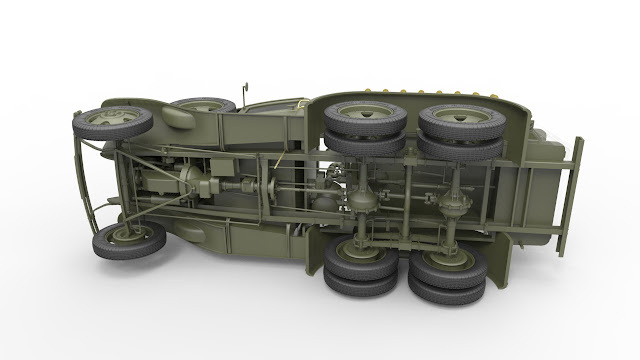 Note track links for rear bogie wheels on rear fender top.